Angel's Billabong is one of the most stunning and thrilling experiences we had in Nusa Penida. 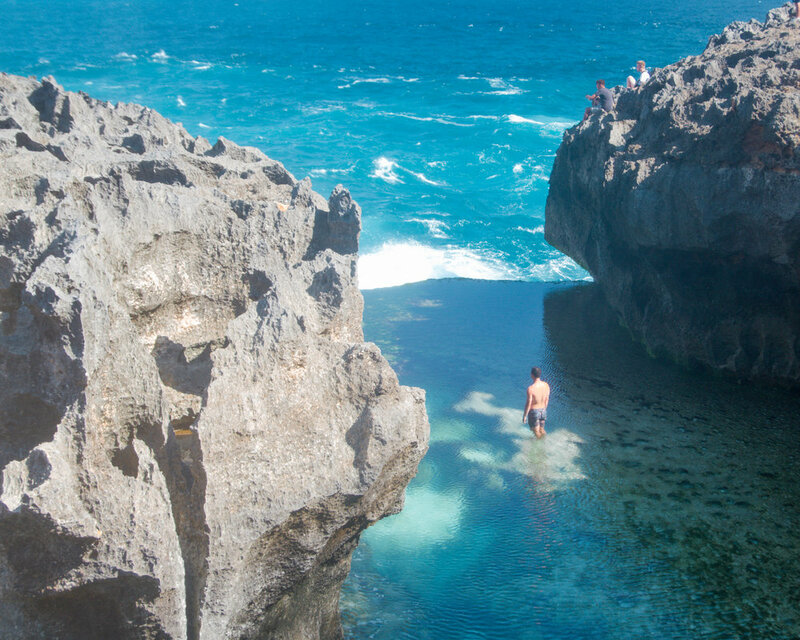 A crystal clear tide pool, Angel's Billabong is also called "nature's infinity pool" because its waters overflow into the ocean. You can float in the warm water while the surrounding rock formations *mostly* protect you from the giant waves of the ocean. Definitely keep your eye on the ocean though, as the powerful waves can sometimes break through into the tide pool. Angel's Billabong is located on the west coast of Nusa Penida island. This beautiful tide pool is located right next to Broken Beach, and about 35 minutes from Kelingking Beach. Note that the drive to Angel's Billabong is not easy: think enormous pot holes and gravel roads; we found the last 15 minutes to be some of the worst roads on the island. If you aren't comfortable driving a scooter in these conditions, hire a driver or take it very slow. Check the tides before you go and go at low tide! During high tide you won't be able to swim in the tide pool. As one of the top 3 most visited spots in Nusa Penida, Angel's Billabong can get extremely crowded between 10am and 4pm. Luckily, most of the tourists stay at the top to take photos and very few climb down to swim in the pool. The entry fee is 5k IDR per person and 1k for parking. This fee also gets you entry to Broken Beach, which is located in the same area. There are many food stalls around these attractions where you can expect to pay 45k for Nasi Goreng and a coconut! 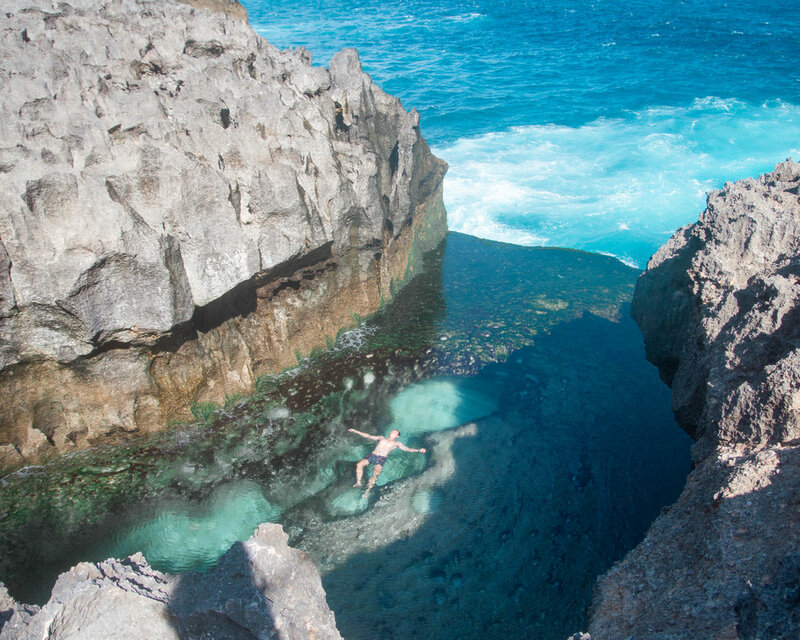 Swimming inside Angel's Billabong is an unforgettable experience. Just be cautious when swimming as the ocean can be powerful and unpredictable here.